Training duration: 2 days of pure hacking and feeling "1337"
Introduction - The attacker point of view. Intro to the scoring server and virtualized training environment. Reconnaissance and information gathering - banner grabbing, fingerprinting, service mapping, port- & vulnerability scanning. Finding vulnerabilities, suitable exploits and staging your attacks. "Jumping the (fire)wall" - using targeted client-side attacks to gain foothold behind firewalls, pivoting your attacks through the initial compromised workstation, escalating, dumping password hashes, pilfering, passing-the-hash, credential and plaintext password harvesting with browser tools, Mimikatz and WCE, planting backdoors, exfiltrating data, evading Anti-virus products and making a general nuisance of yourselves in the process of 0wning internal networks. Kali Linux - all hands-on activity takes place on this popular penetration testing distro. Each student has his own Kali Linux with individual target networks cloned in the training environment. Remote exploitation - attacking various operating systems (both *nix & Windows) and common services (like FTP, SSH, HTTP/S, etc.,) remotly, compiling and running exploits and using ready-made tools. Attack Toolsets - Metasploit Framework & meterpreter, Armitage (essentially a point-and-click front-end for Metasploit). Day 2: "Network Takeover" scenario - putting it all together in a whole day hands-on scenario that walks participants through a small company network takeover scenario from an attacker's perspective. Mostly Armitage along with other tools on Kali Linux will be used for attacking, making it easy to track and visualize how the victim network and subnets reveal themselves as participants hack deeper into the network. Trainers are Taavi Sonets, James Dodd, Karl Raik. Taavi joined the team in April 2015 as a Web application pentester. His previous work experience consists mainly of Web Application development. He holds a M.Sc. degree in Cyber Security from Tallinn University of Technology. He wrote his masters thesis about improving User Simulation Team Workflow in the Context of Cyber Defense Exercise. Taavi is the main trainer of our Hands-on Hacking training series (HOHE, HOHE FU, HOHA) and Hunt The Hacker (HtH) course. James joined the team in December 2016 and came from gaming sector, where as a Principal Developer, he worked on back end distributed systems. He has a BSc degree in Software Engineering from De Montfort University, England. For his final year project, he wrote a steganography tool to invisibly embed large quantities of information into animated GIFs. James is a trainer of our Hands-on Hacking Essentials (HOHE) and Hunt The Hacker (HtH) courses. 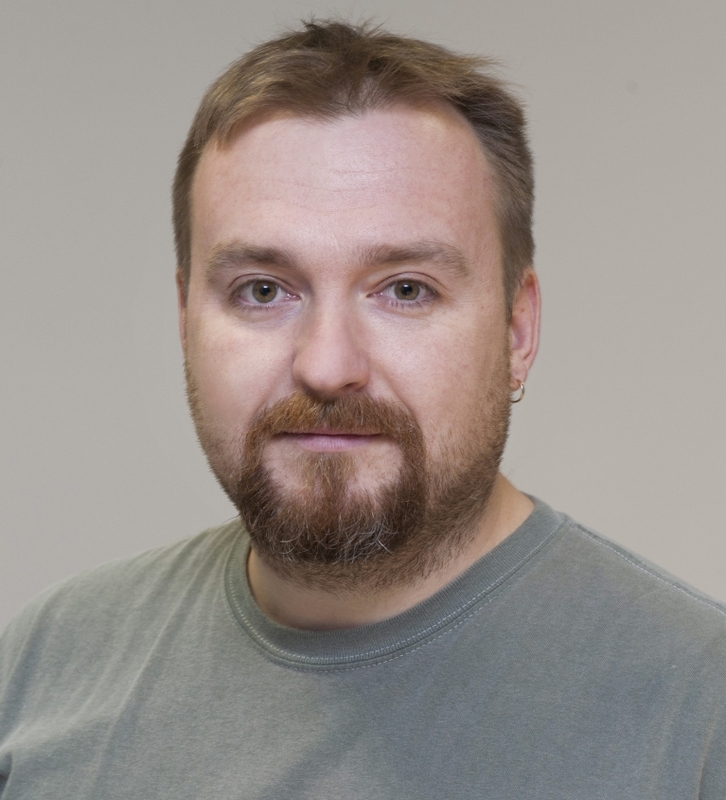 Karl joined the team in September 2015 as a Web application pentester. His previous work experience consists mainly of Web Application development. He holds a M.Sc. degree in Cyber Security from Tallinn University of Technology. He wrote his masters thesis about improving Web Attack Campaign overview in Cyber Defense Exercises. Karl is a trainer of our Hands-on Hacking Essentials (HOHE) and Hands-on Hacking Advanced (HOHA) courses. Trainers will engage participants with lectures, live attack demonstrations and practical examples followed by individual hands-on exercise scenarios. Training is interactive, practical, and besides active participation also full of attack stories that help to change the perspective and understanding of real life security threats. The main differences between hacking and penetration testing are the intent and (imposed) limitations. Therefore, the idea behind this training is to see practical information security from the attacker's or "opposing team's" point of view and to deliver first-hand experience or running attacks. Although this training is highly technical and extensively hands-on, all scenarios are built so that with the help of hints or even full HOWTO's from the scoring server, everyone can complete all exercises regardless of prior 1337 skills or experience level with various operating system. Everyone will walk through the phases of an attack until successfully pWning various systems and services. There are plenty of attack scenarios to play through and to complete scored objectives. Since the expected participants' skill and experience level is varying to a large degree, we cover a mix of *nix and Windows world and focus on explaining key concepts and on showing the real attack even to those who have never compiled or launched any exploits before. During the 2 day hands-on training experience the participants should form a good understanding of current attacker tool-set, attack types and methods. By experiencing the attacker mindset and point of view via hands-onexercises the participants not only will gain much higher appreciation for attack threats, but will be much more alert and better prepared for their own IT systems defence and security testing. Training environment is essentially a mobile training lab that can be brought to the participants anywhere in the world as long as VPN connection via decent Internet connectivity is viable. Training activity takes place inside a special virtualization server (VMWare ESXi5, 24 cores, 96GB RAM, 2TB HDD). Every student has access to a individual Kali machine and targets in a separate subnet. Scoring server is a multi-functional tool to assist the students and trainers, to make the training more interactive with competitiveness and challenges. All attack scenarios and targets contain challenges and hidden answers that can only be reached and entered into the scoring server via successful attacks. There are plenty of hints and full HOWTOs that can be used a the cost of come points. This lets everyone complete the exercises at their own suitable pace, from simply following the hints and instructions to show off "1337" skills. The scoring system always rewards active participation, so even taking hints and struggling through the scenarios is more fun and rewarding than passive listening. At the same time, those who like challenges can, try more creative approaches and to choose their own way to pWn the box. Good Internet connection - at least 10Mbps download speed via a network cable (RJ45 connector) for connecting the classroom to the training server in Tallinn via our VPN device. VPN device just needs to get an IP address via DHCP and have outgoing IPSEC traffic enabled to our training environment IP addresses. The participants will be using only VNC and SSH clients to connect to Kali virtual machines in the training environment via this VPN connection, thus only good download speed is essential. All Internet access and network intensive activity and takes place within the training server. Participants' computers - any computer or laptop with any Operating System will do, as long as VNC and SSH clients are installed. The customer is expected to provide the LAN (switch + cables + power jacks) that can be connected to our VPN device that supplies IP addresses via DHCP. In case of laptops, we can provide our own WiFi Access Point for creating a LAN. Minimum 1024x768 monitor resolution is recommended. Video projector and large screen - so that also command line activity is also easy to follow from the back row. Here in Telia we take security as of paramount importance. It helps us to provide secure services to our customers and improve our systems to be more resilient against evermore evolving cyber-attacks. That’s why we choose Clarified Security HOHE and HOHA courses to keep our key technical staff up to date with security challenges and how to spot and mitigate them in the real world. It is really rewarding to see people with already deep technical knowledge coming back from the training and saying “Wow, didn’t know that hacking into systems was this easy”. We’re definitely considering Clarified Security courses in the future as well.